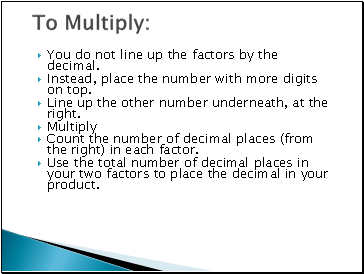 You do not line up the factors by the decimal. 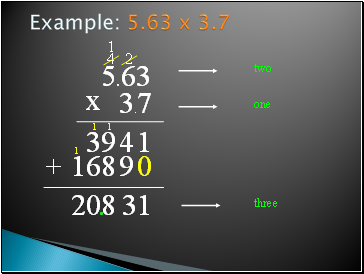 Instead, place the number with more digits on top. 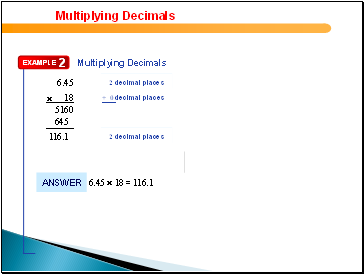 Line up the other number underneath, at the right. 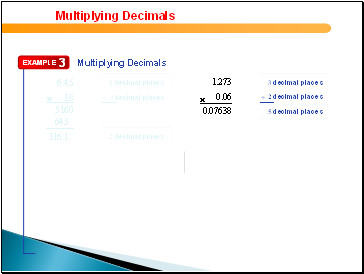 Count the number of decimal places (from the right) in each factor. 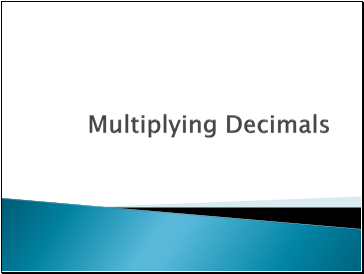 Use the total number of decimal places in your two factors to place the decimal in your product. 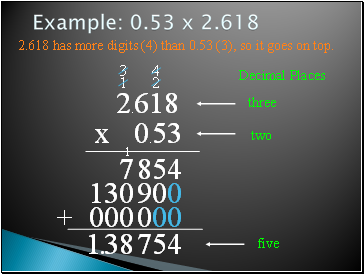 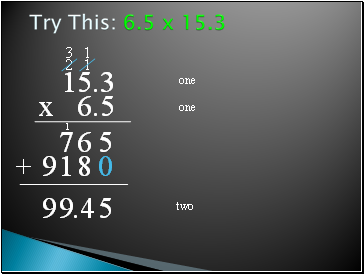 2.618 has more digits (4) than 0.53 (3), so it goes on top. 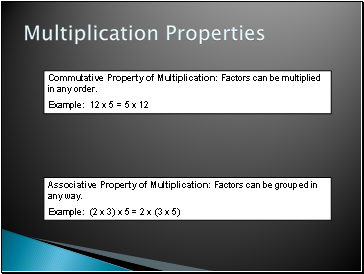 Commutative Property of Multiplication: Factors can be multiplied in any order. 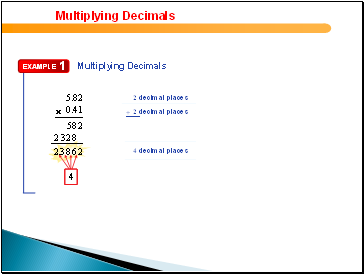 Associative Property of Multiplication: Factors can be grouped in any way. 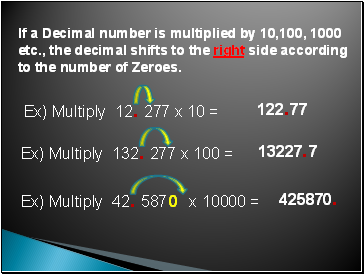 If a Decimal number is multiplied by 10,100, 1000 etc., the decimal shifts to the right side according to the number of Zeroes.